Sam's Club will lay off 2% of its workforce. Wal-Mart plans to lay off 2,300 workers at its Sam's Clubs, the company said Friday. That's 2% of the workforce for the wholesale club chain, which has nearly 600 locations in the United States. A little less than half of the employees affected are assistant managers, according to Sam's Club spokesman Bill Durling. Before the layoff, each club's fresh section -- which sells meat, poultry, seafood, dairy, produce and baked goods -- had six managers. Half of those jobs have been eliminated. Instead there will be three fresh section managers, who will be paid more, Durling said. The company eliminated some hourly positions too. 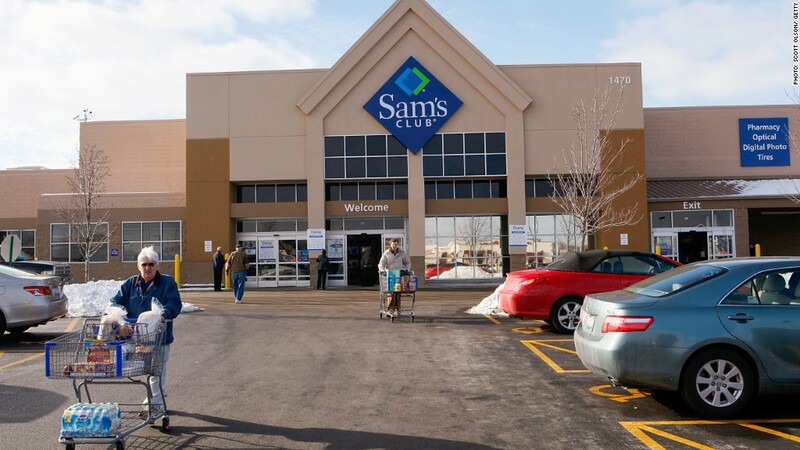 Each employee affected by the cut will be paid for 60 days and is encouraged to look for other jobs at Sam's Clubs or its parent company, Wal-Mart, (WMT)stores. If they cannot find a job within the company, they will receive some severance, Durling said. Durling said that the company also plans to add at least fifteen more stores in the next year.